The Community Challenge Fund 2016-17 was set up by The Rivers Trust and the Greggs Foundation to support the delivery of environmental education projects for local communities based in and around rivers. 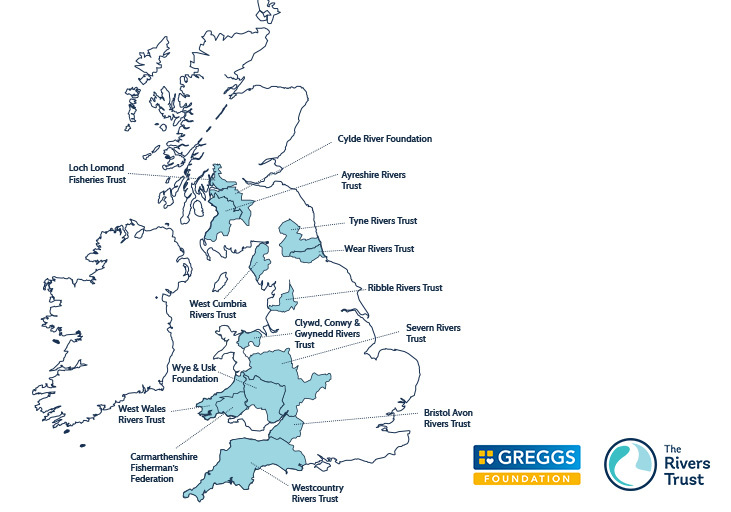 Funded by the Greggs Foundation, through proceeds from the plastic carrier bag charge, funding has been awarded to environmental river projects in communities across England, Wales and Scotland. The project was established in response to the charge for single-use plastic carrier bags across England introduced by the Government in 2015. Prior to the charge, in 2014 over 7.6 billion single-use plastic bags were given to customers by major supermarkets in England alone, which equates to approximately 61,000 tonnes. The Rivers Trust provides overall management of the wider project, working closely with Afonydd Cymru (the Welsh grouping of Rivers Trusts) and Rivers and Fisheries Trusts Scotland (RAFTS). Six Rivers Trusts in England successfully applied to a ‘Community Challenge Fund’ to run education and community-based environmental projects, with the participation of young people and the disadvantaged. The Community Challenge Projects will also provide opportunities for participants to take an active part in project publicity through, for example, the writing of webpages and public presentations. Across the regions surrounding the Clyde Estuary, there are three Fisheries Trusts that have collective stewardship across thousands of kilometres of watercourse. The Clyde River Foundation, Loch Lomond Fisheries Trust and Ayrshire Fisheries Trust are each developing educational programmes specifically aimed at primary schools. The overarching ‘Rivers and Lochs in the Classroom’ programme delivers hands-on education projects to primary schools in deprived areas in the Central belt. Practical project work both in the classroom and in and around rivers will promote awareness of river ecology and encourage the children to engage with nature and develop a sense of pride in their local environment. In Wales, the funds are being used to deliver more widely the community engagement work undertaken earlier by South East Wales Rivers Trust under the Gŵyl Taf project that included delivery of the ‘You and Your River’ initiative to more than 900 school children, many of whom live in deprived communities. Project work in Wales is also seeking to expand the exemplar work of the Wye and Usk Foundation in addressing rural poverty and environmental protection. Community Challenge Fund on Biteable.